Narendra Modi shows his thinking about the Symbol of awareness as a “Chawkidar” he said how a vigilant citizen can expose the lie which is spreading repeatedly by the opposition coming next five years with clear majority for a strong central government he said about the journey of five years how they full fill the grabs and now there dream is to build a big building on him what their party has taken a action against the corruption has been sent to the prison door now they will be strict punishment. 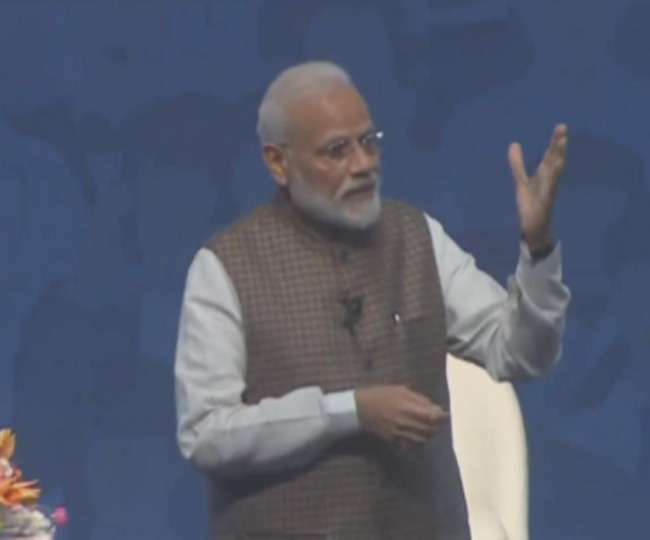 According to Narendra Modi during his government his emphasis on meeting the needs of the common people’s electricity, water, roads, education and housing. Under this, amenities like toilets to electricity and distribution gas cylinders by Ujjwala yogna free treatment facilities were provided in every house and after the common people requirement are met the work fulfilling the aspirations of the common people will be started and he also talked about the 2022 all the poor citizen and farmers of India have goal of doubling the income of them and making efforts for country economy more and up to five-trillion-dollar economy in line with development countries. Modi Ji is also talked about the Mission Shakti they said that the US, Russia and China have made it public then why India will not do it as similar the India also made a Anti satellite missile it is big achievement then the world should know about it. 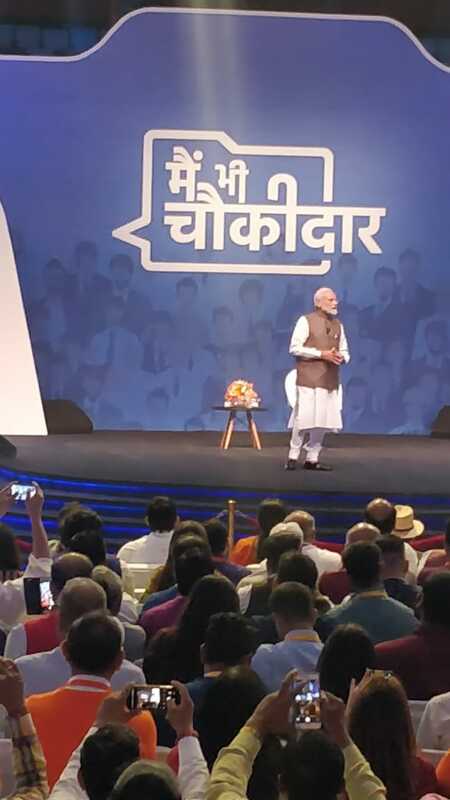 Chawkidar Narendra Modi The Prime Minister appealed to the ‘chowkidars’ to avoid the expansion of the opposition spreading and expose it. He said that many falsehoods like ending the reservation, from attack on the church to intolerance, were spread from time to time on behalf of the Congress and its supporters. A campaign to return the award for intolerance of intolerance was also launched, but the situation is that Aaj Tak has not returned the award neither nor did the rewards received by the awards. With the expose of lies, the Prime Minister also advised the Congress to avoid false promises being made.